Why am I showing you the Tower Bridge? 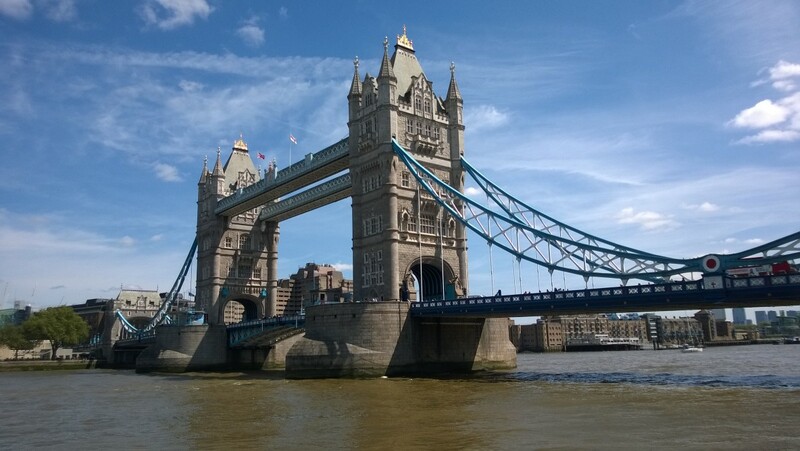 Well, it is a cool bridge… but it’s mostly because I’m in London working with customers this week and it will make a lot more sense in a few moments when you read down to my “demo” of Hyperlapse for Azure Media Services. A few weeks back at the NAB show I was discussing with a few friends the new trend of giant nets surrounding a number of exhibitor booths. This seemed like a very odd trend to see at first – people trapped inside giant protective nets demoing the latest in drone camera technology. I thought I had it bad myself being trapped in the Microsoft booth for days but these folks were literally trapped. 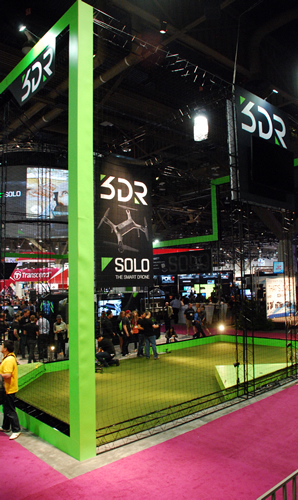 I was also shocked to see that the NAB show folks had blocked off an entire section of the South Hall dedicated to these new flying devices with cameras. It was quite entertaining to watch this new trend unfold at NAB. Along with all of these new drone cameras, the major camera manufacturers at the show from Sony, to Panasonic, JVC and Garmin were also introducing new “Action Cameras”. Each of these cameras had their own unique “differentiating” features to compete with the big kid on the block – GoPro. Sure I can edit it down in Sony Vegas or Premiere and make an awesome video to share, but that takes time and it doesn’t solve one of the bigger problems with action footage – it’s shaky, nausea inducing video that bounces your eyeballs around and makes your friends close their browsers quickly! How to solve this problem? Well I recently met some genius folks in Microsoft Research that had figured it out. They invented an amazing video time lapse and stabilization algorithm called “HyperLapse”. Microsoft Hyperlapse is the result of over 20 years of computer vision research at MSR, combining video stabilization and time lapsing to create quick, consumable, beautiful videos from your long-form content. For example, I happen to be London this week and had some time to walk through town. It was a gorgeous day yesterday and I had just landed at Heathrow and needed some sunshine to reset my clock. So, I walked from Paddington Station all the way to London Bridge (30K steps on my Microsoft Band!). For about 15 minutes I held my phone in front of me, pointed it straight ahead and just walked as normally as I could. That 15 minutes is incredibly boring to watch in real-time, but after uploading it to Azure Media Services and submitting a job – you can see below results of speeding it up 25x. Notice that it completely smooths out the bouncing of my walking and makes it look like I was driving a car or using a steady-cam. After we got back from the NAB show – we saw the opportunity to offer some cool technology to everyone shooting footage with these new action cameras. The Media Services team worked closely with our friends in Microsoft Research to bring the power of Microsoft Hyperlapse to the cloud on Azure Media Services. Now you too can grab your favorite ‘action camera’, GoPro, un-stabilized drone or anything that shoots shaky video, do something really cool with it, and then upload it to the free public preview of Hyperlapse for Azure Media Services! Or if you don’t like to use a service to do the work in the cloud, you can still use the desktop and mobile versions of Hyperlapse. Download them here today. For details on using the Azure version, complete with code samples, check out Adarsh Solanki’s (PM on Azure Media Services responsible for Indexer and Hyperlapse) blog post here. Don’t forget to also download the Azure Media Explorer tool to get started using your Azure Media account to the fullest. We just updated it to include support for Hyperlapse Preview directly in the Asset menu. Just right click on an asset in the grid and select “Process asset with Hyperlapse”. Have any questions or comments? Need help getting started? Send an email to amshyperlapse@microsoft.com.